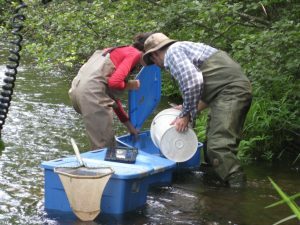 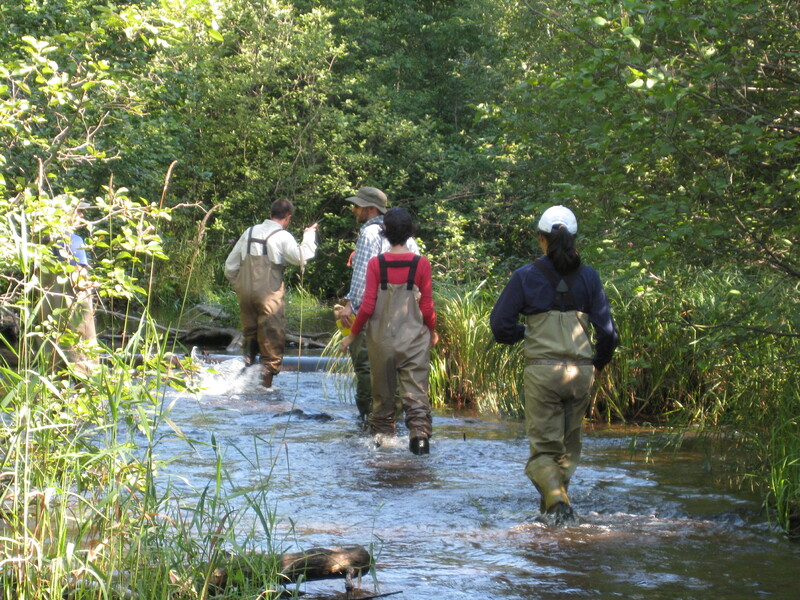 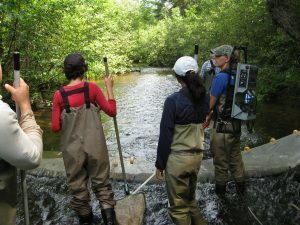 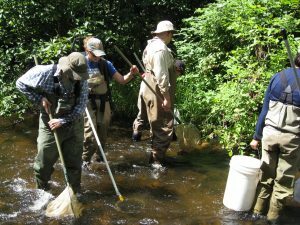 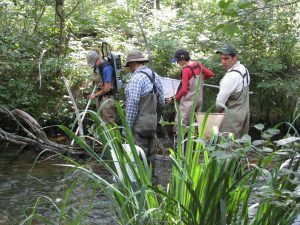 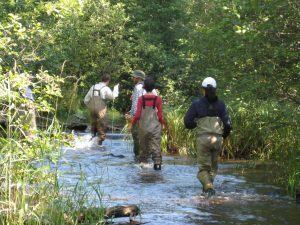 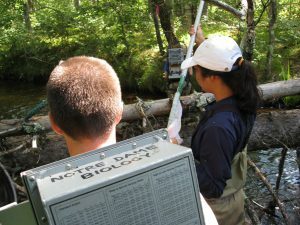 Patrick Shirey, University of Notre Dame, Department of Biological Sciences, is currently conducting stream studies with a team of students in cooperation with the National Park Service and the Wisconsin Department of Natural Resources. The Namekagon River Partnership is assisting this effort. On July 28, 2012 the lower section of Big Brook, near its confluence with the Namekagon River, was examined. 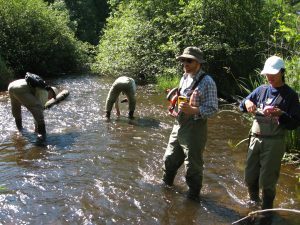 It should be emphasized that great care was taken to avoid harm to the fish population and any change to the stream. 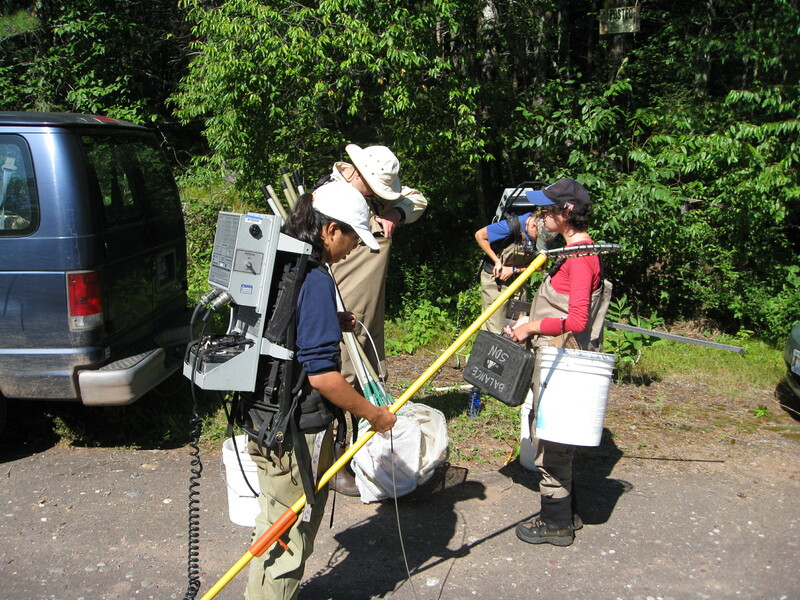 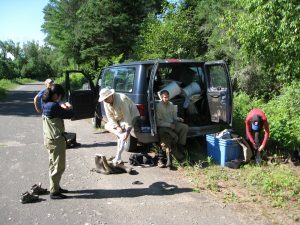 The study team gathered at the stream site and checked their gear. 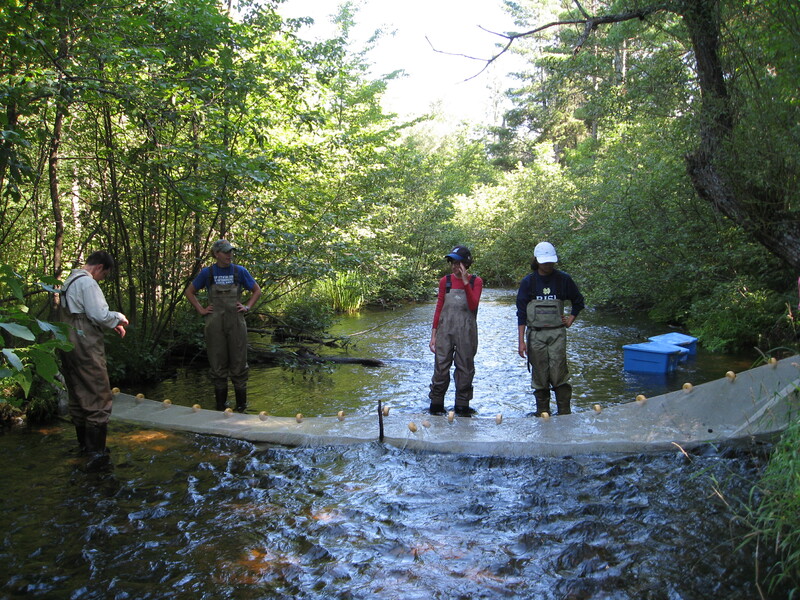 Barrier nets were erected at the upstream and downstream ends of a 100 meter section of the stream. 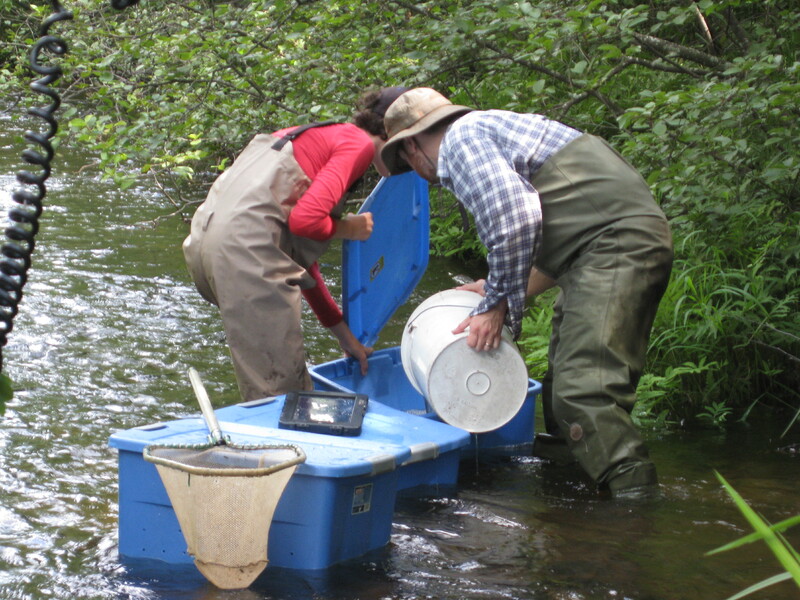 The fish population was examined by carefully collecting as many fish as possible. 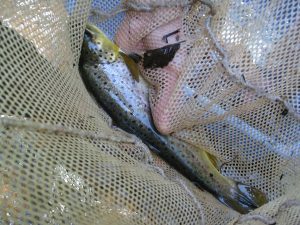 Three passes were made along the section, and fish were captured by temporarily stunning (with electrical current) and netting them. Each fish was identified by species, measured for length, and weighed. 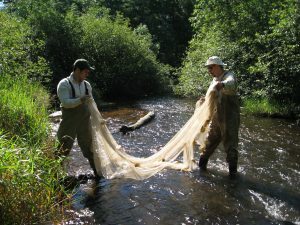 The fish were released and the barrier nets removed. Cold water, cool water, and warm water species were found. 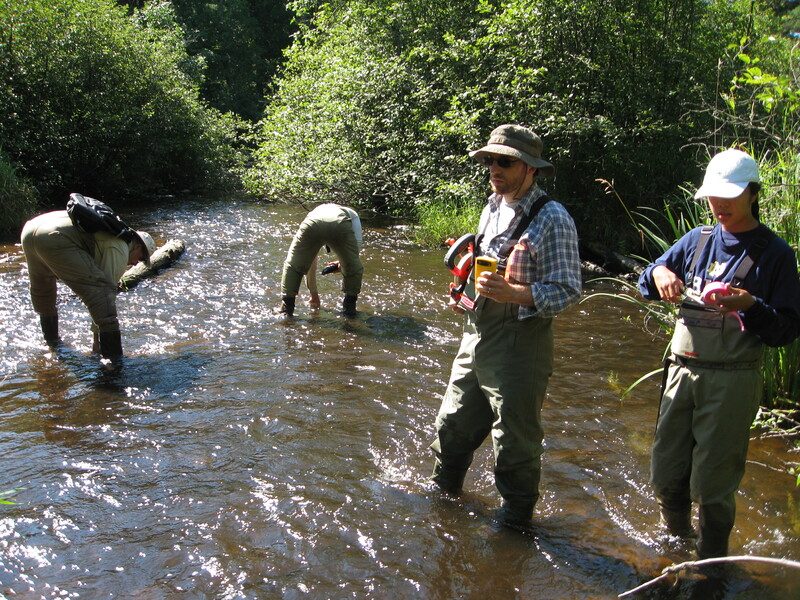 The stream’s physical characteristics were determined by examining a cross-section every five meters. 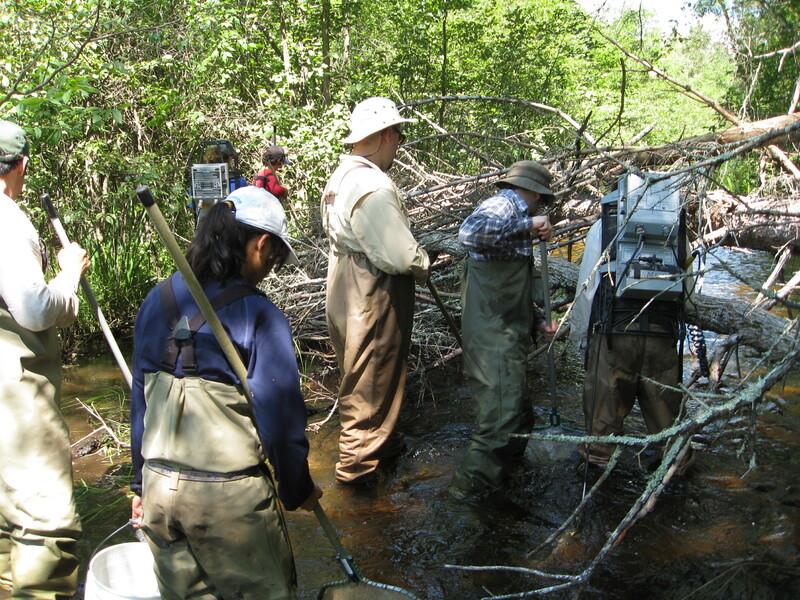 Water flow was measured, the stream width was measured, and the composition of the stream bottom was analyzed. In addition, the tree canopy was measured, the water temperature was recorded at multiple locations, photographs were taken, the amount of wood in and along the stream was determined, and the elevational change of the 100 meter section was measured. 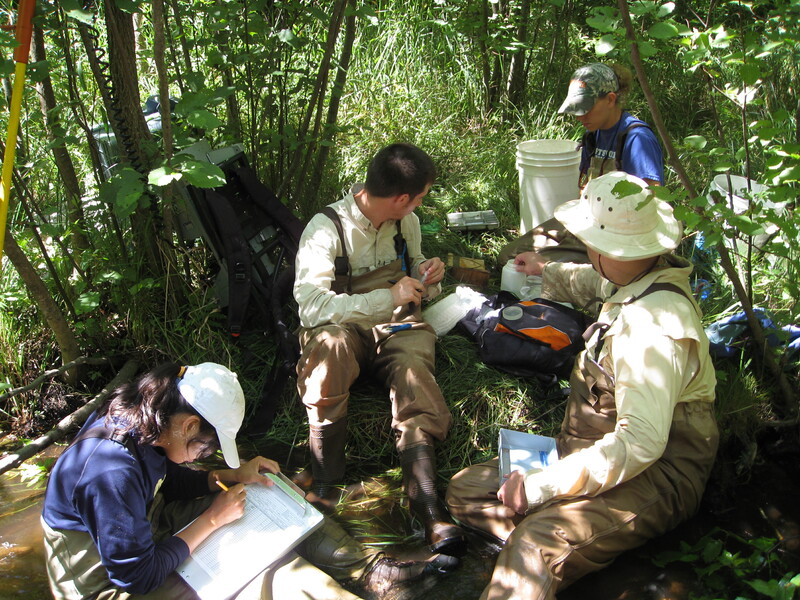 This stream study took eight individuals about seven hours to complete. 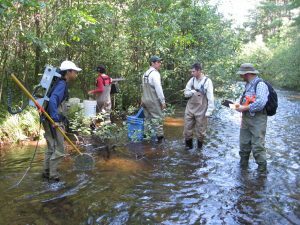 The data is useful as a “snapshot” of the stream and will be valuable as comparison data when similar studies are done in the future.